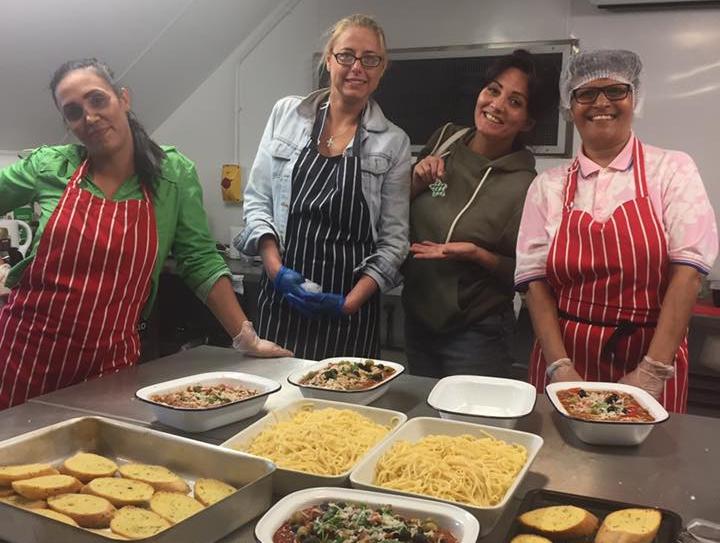 The Back kitchen (a bespoke catering pod) supports people experiencing homeless to move towards employment, further training or volunteering. Through learning techniques for managing stress, building up their self-esteem and confidence, developing practical catering skills, gaining qualifications in basic food preparation and food hygiene, and opportunities for work experience on our catering pod 'The Back kitchen'. The students gain level 1 and 2 food hygiene certificates over a ten-week course. The Back Kitchen will be used to provide training and employment opportunities for people currently homeless or living in temporary accommodation training them in food preparation and food hygiene so they can work on the 'back kitchen' or be signposted to other relevant opportunities. The project is aimed at addressing the some of the barriers homeless people experience in accessing training or employment. It will provide a stepped approach to building self-esteem and personal aspirations together with practical skills qualifications and valuable work experience. The programme will be delivered over one day a week for ten weeks. We will run three programmes over 12 months. Morning wellbeing sessions will focus on Improving mental health and psychological well-being. Activities and topics covered include mindfulness, yoga, aromatherapy and creativity. The sessions are person focused, helping participants begin to think about their life creatively. It helps them to identify and recognise the unique set of skills, resources and experiences that they already possess and developing skills & techniques they can incorporate into their everyday lives to manage stress, anxiety, anger, & depression. During the afternoon session participants will work towards gaining NOCN level one accreditation in Basic Food Preparation & cooking and a health and hygiene certificate which is essential for all catering jobs. We use a variety of methods and learning styles to inspire and engage – participants. There is also an element of practical work experience on the @back kitchen our catering pod at one of our community events developing skills such as team/ co-operative working, communication and customer relations. The training will take place at Shaw Street a Riverside housing association facility providing support and accommodation for people with low to medium support needs, who may find themselves homeless for whatever reason. There is a self-contained kitchen, cafe area and training room, and the setting is relaxed and informal. All centre staff are aware of the range of needs of homeless people and are supportive and understanding. We will use our minibus to pick people up and drop off from hostels, and supported accommodation, and we will provide lunch and refreshments. All equipment and chef's whites will be provided, and uniforms will be washed after each session. All food prepared as part of the course will be shared out at the end of the day. Participants will also be able to access a holistic range of support around housing, welfare benefits and offered mentoring to support and encourage them to remain engaged and to progress successfully. If you would like to hire The Back Kitchen for an event or party, then get in touch, and we will let you know the availability and costs for your particular event. You will be safe in the knowledge that all profits go towards helping the less fortunate in our area.